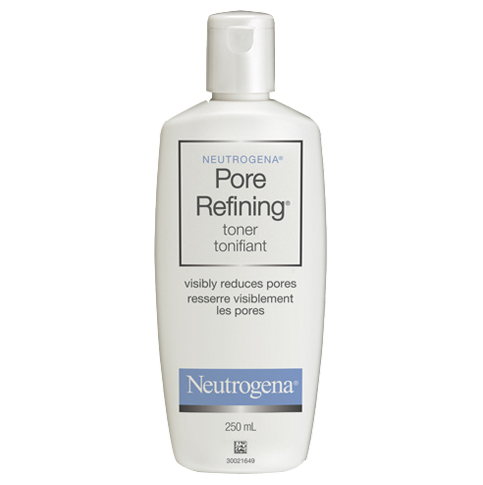 NEUTROGENA® PORE REFINING® Toner visibly reduces the appearance of pores and refines skin to look smooth and more even-toned. This effective alpha and beta hydroxy formula delivers visible results. First, it sweeps away dead surface skin and smoothes over rough, uneven patches. Then, it penetrates deep into pores to visibly reduce their appearance for cleaner and flawless-looking skin. Skin is left soft, smooth and refreshed. 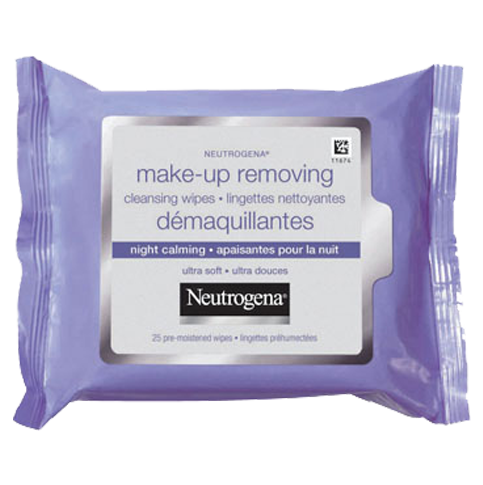 Moisten cotton ball or pad and smooth over face with gentle upward strokes. Water (eau), Alcohol Denat., Glycolic Acid, Sodium PCA, Hamamelis Virginiana (Witch Hazel) Water, Salicylic Acid, Sodium Lactate, Aloe Barbadensis Leaf Juice, PEG-40 Hydrogenated Castor Oil, Alcohol, Allantoin, Propylene Glycol, Lactic Acid, Sodium Benzoate, Eucalyptus Globulus Leaf Extract, Mentha Piperita (Peppermint) Leaf Extract, Parfum. use i everda. amazing produc. highl reccommend. will purchase again! Pore refining doesn't dry your skin out and reduces your pore size. I noticed a difference the first time I tried it! Amazing would definitely recommend. I have been using the NEUTROGENA® PORE REFINING® Toner for about 1 year now and I really think it has made a difference in my skins appearance. Since I have been using it I noticed early on that my pores are noticably minimized and it makes my skin look healthy and fresh. Noticed some results however, I have only been using it for a few day. Very gentle on my skin and did not cause me to break out. The consistency is very nice; not too heavy and not too watery. Overall, would purchase again. I've been purchasing this toner regularly for the last few years. It is one of the only other toners that doesn't burn or dry my skin out, it's a great combo between cleansing/oil-controlling and moisturizing. Now, I can't say I am free of blackheads and my skin is still a bit problematic, but I've tried so many products and this seems to be one of the only products that helps in keeping things in check and reducing flare-ups without stripping or irritating my sensitive combo skin. I think the witch hazel really helps. I normally prefer natural products, but this doesn't seem to have too many chemicals either, at least compared to some products. It's getting hard to find for some reason, but I will keep buying as long as I can keep finding it!